Is Amy Bruni Lesbian ? The reality TV star, Amy Bruni is best known for her stint on hit paranormal series "Kindred Spirits" where she helps people using her 20 years of investigation experience to reclaim their homes and lives from the mysteries of the unknown. Prior to Kindred Spirits", Bruni featured in Syfy's Ghost Hunters from 2008 till 2014. Apart from that, she also appeared in various reality TV series such as Ghost Hunter, and Paranormal Lockdown. Amy Bruni was born on July 10, 1976, in Sacramento, California, the USA. Her birth sign is cancer which defines her personality as tenacious, highly imaginative, loyal who can be extraordinarily generous at times. Bruni was just 6 years old when she first encountered paranormal activity when her family moved to Alameda, California. She witnessed a full-body spirit of a man dressed in green but before that, her family had no idea their home was haunted. Years, later, Amy discovered their landlord's son was the ghost who died in Wolrd War II. Bruni's parents encouraged her and since then she started chasing ghosts. She was only nine when her father started taking her on paranormal investigations. In her twenties, she began investigations to haunted locations which later became her full-time job when she joined SyFy's Ghost Hunters in 2007. 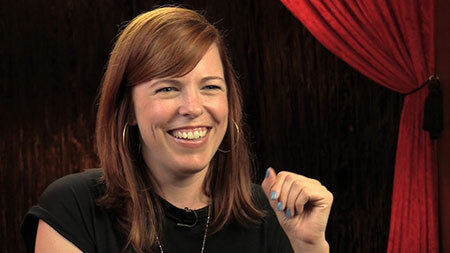 Ghost Hunters helped Amy Bruni to gain public attention. The show investigates places that are reported to be haunted. She was part of the show from 2008 till 2014. Then she starred and produced TLC's hit paranormal series "Kindred Spirits" in 2016 where she helped people reclaim their homes from the mysteries of the unknown. Apart from that, Bruni also featured in the show like Ghost Hunter, and Paranormal Lockdown. She also produced the Beyond Reality Radio along with Jason Hawes and Grant Wilson. Amy Bruni is one of the popular paranormal investigators who made her TV debut in 2008 in Syfy's Ghost Hunters. The average salary of paranormal investigators is $47K+ but she is quite experienced in this field so, she might earn more than the average figure. As per some online sources, she has an estimated net worth of $700k. Amy Bruni is unmarried but she is in a romantic relationship with her longtime boyfriend, Jimmy. The duo is together for a long time and shared a good bonding with one another. The couple welcomed their first child, a daughter, Charlotte on October 11, 2012. Bruni often shares her daughter and partner pictures on her Instagram where she has more than 79.3k+ followers on Instagram. She has a boisterous basset hound named Zoe. She is living a blissful life with her partner and daughter in London. Will the couple get married anytime soon? Well, the thing is still unanswered. Happiness is watching my two favorite people unable to contain their laughter at dinner. Jimmy is best known as the boyfriend of reality TV star, Amy Bruni. He has a daughter with Amy. Charlotte is best known as the daughter of reality TV star, Amy Bruni and husband, Jimmy.